With a variety of jobs, apprenticeships and work experience openings on offer from employers across the borough and beyond, this is a great chance for residents who are either looking for work or a new challenge, to present their CVs to their potential new boss. Sainsbury’s, Metrolink and Mitchells & Butlers, will be amongst some of the employers attending the event alongside Manchester Airport Academy, Housing Units, Primark, Greater Manchester Police, the North West Ambulance Service and many more. Training opportunities will also be on offer for anyone looking to develop their skillset in a range of fields, from introductions to IT to basic Maths and English courses. So whether you are job hunting for the first time, looking to return to work, or you are searching for the next step in your career, this free event is for you – just turn up on the day, no booking is required. 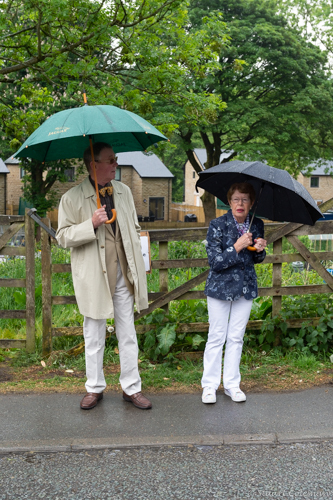 The judging of the Annual Saddleworth in Bloom competition took place on Tuesday 31st July 2018. 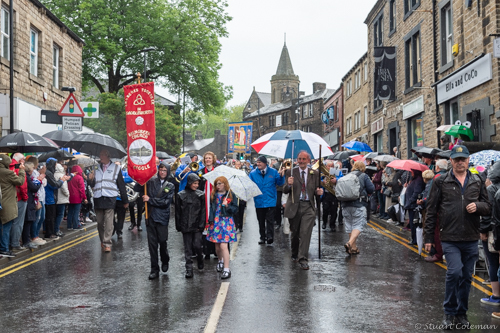 The panel of judges consisted of the Chairman of the Parish Council and the Chairman’s Lady, Councillor Rob Knotts and Mrs Lesley Knotts, the Vice Chairman of the Parish Council and the Vice Chairman’s Lady, Councillor Paul Fryer and Mrs Aileen Fryer and the Clerk to the Council, Pam Bailey. Paul Bailey accompanied the judges and took photographs of all the entries. The judges commented that the standard of entries was very high and their decision had not been easy. However, the number of entries was, again, disappointingly low which could have been due to the effects of the very bad winter and/or the extremely dry summer. They offered their thanks to everyone who took part and said that they hope to see an even bigger competition next year. The Clerk added that a review of the format of the competition will be undertaken to try to encourage more people to enter next year. Authority staff assisting firefighters in tackling the Tameside moorland fire in the Peak District National Park. Staff from the National Park, partner organisations and volunteers are in place at moorland vantage points throughout the National Park to look out for fires. The hot, dry weather means that ground conditions on the moors are extremely dry and the risk of fire is high. Residents and visitors are asked to be extra vigilant to help prevent moorland and grassland fires. Fire-fighters have been tackling an extensive moorland fire in the north-west of the National Park, near Stalybridge, Tameside, since Monday (25 June) – some 2,000 hectares of moorland habitat has been destroyed. 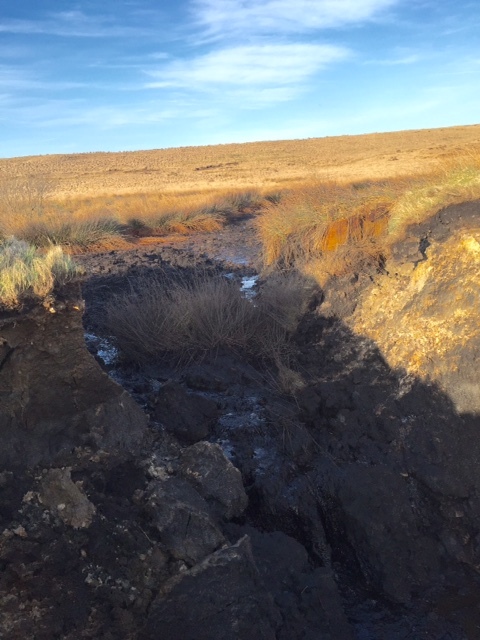 Working with fire-fighting team and other partners and moorland managers, the National Park Authority is providing staff, vehicles, supplementary equipment, logistics support and local access expertise in the hard to reach places. “We’ve seen from other global cities that these methods work and the benefits are there for all to see – we simply can’t afford to be left behind. “This is a really exciting plan to encourage more people to cycle and walk. But at the same time, it will improve air quality, reduce congestion and improve health, by giving local people real alternatives to driving. This funding is at levels seen in cities such as Copenhagen and Amsterdam, where cycling and walking make up 25% of all journeys. 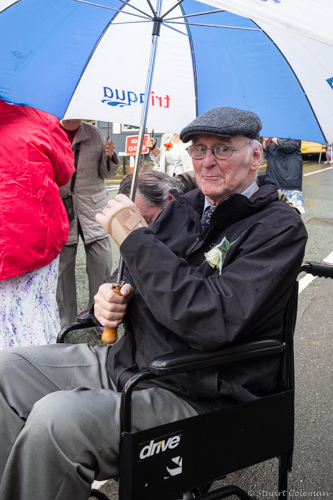 Salford City Council’s ambitious proposals for Chapel Street East are one of the first schemes to be submitted to the new Mayor’s Cycling and Walking Challenge fund. They will create an environment where walking and cycling are attractive alternatives to driving and will support the sustainable development of city centre of Salford. The scheme is modelled on the best Dutch streets including continuous footways and cycle tracks, implied zebras, traffic-calming, streets trees and planting. To find out more, visit the Beelines pages on the TfGM website at www.tfgm.com/beelines. 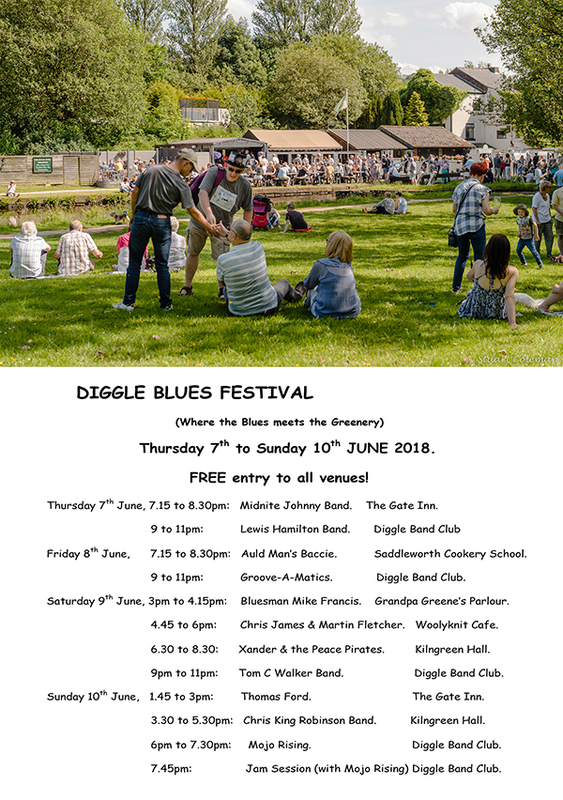 Jo Taylor receiving her Above and Beyond Award from Dave Wood at the Diggle Blues Festival on Sunday 10th June at Diggle Band Club. Jo’s remarkable achievements are testament to her determination and strength of will. Having had treatment for primary breast cancer 11 years ago and after being diagnosed with secondary breast cancer 4 years ago, she now supports cancer patients from across the whole of the U.K. and worldwide with peer-to-peer health advice through her web site, After Breast Cancer Diagnosis (ABCD). Jo firmly believes (and there is written evidence to support this) that through exercise and fitness, debilitating cancer treatments can be enhanced. This improves chances of recovery and remission and significantly supports living with and beyond for both primary and secondary cancer patients. 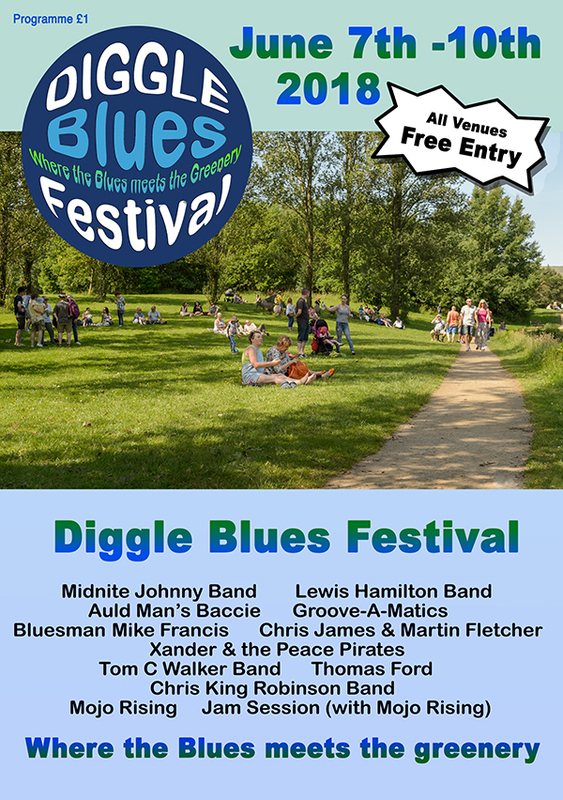 Dave Wood, Diggle Blues Festival organiser said, ” Jo is an inspiration. Just over 11 years ago she was diagnosed with breast cancer, at a time when she had a 5 month old baby and a two year old son. Rather than retreat into self-pity she pushed forward and started After Breast Cancer Diagnosis. This took incredible strength, stamina and determination. Her work helping patients make informed choices has been tireless. “In addition to advice, Jo also runs retreats promoting the benefits of exercise and positive thinking. She encourages wellbeing both physically and mentally through Nordic walking, cycling, running, relaxation and yoga. 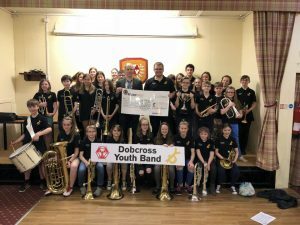 “Jo’s fundraising for ABCD exceeded £3500 last year. In addition, she completed the Manchester to Blackpool cycle ride four times whilst fundraising for Christies (once in the middle of chemotherapy). She has raised, over the past four years, £20,000 for charity. “Her preparatory work and conferences took her to Lisbon, Madrid, Copenhagen, and Paris. She has lobbied government and met with the previous Shadow Health Secretary, Heidi Alexander and her own MP, Debbie Abrahams. 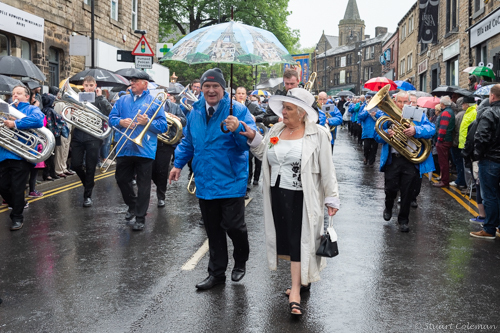 The Rain Couldn’t Stop Them! Always a popular show, the exhibition will be comprised of up to fifty works, with styles ranging from photorealism to expressionistic. Most paintings will be on sale. 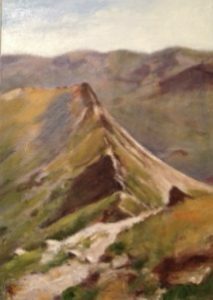 The group, founded in 1950 by watercolourist Ellis Shaw and friends, is currently comprised of around sixty enthusiastic members. Some are full-time professionals but all are seriously committed to their work. Entry to the exhibition gallery is free of charge. Roll-up, roll-up for the greatest show in town as Festival Oldham returns for 2018. 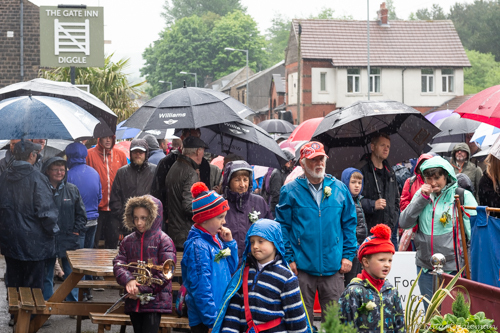 The borough’s annual free celebration of art, entertainment and street theatre takes place on Saturday 26 May, 11am to 4pm in Parliament Square and the Parish Church in Oldham Town Centre and Gallery Oldham. This year the festival takes on a circus theme and is part of Circus250, a national celebration marking 250 years of circus. Oldham has a rich history of circus performances and the Coliseum Theatre actually began life in 1885 as the Grand American Circus and Hippodrome. 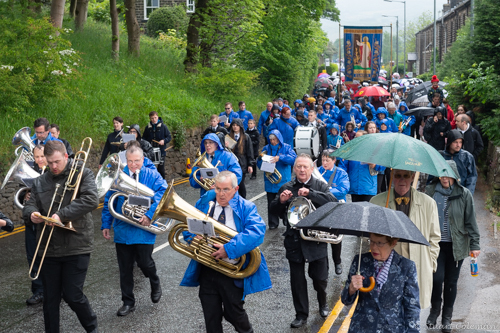 To mark this rich heritage the town will be welcoming over 100 of the very best circus, variety and music performers to Oldham this late May Bank Holiday weekend. See the unusual, bizarre and unbelievable feats of Doctor Diablo’s Sideshow – including amazing fire-eating, escapology and contortionism. Circus Sensible and their beautiful blue and yellow big tops will transform the Parish Church yard into the ‘The Circus Gardens’. This is a chance to watch spectacular performers from around the world and have a go at juggling, stilt walking, plate spinning and much more. Oldham’s resident circus elephants Hessi and Kalli will be exploring Parliament Square, these loveable cheeky elephant sisters love meeting new people and getting up to mischief. 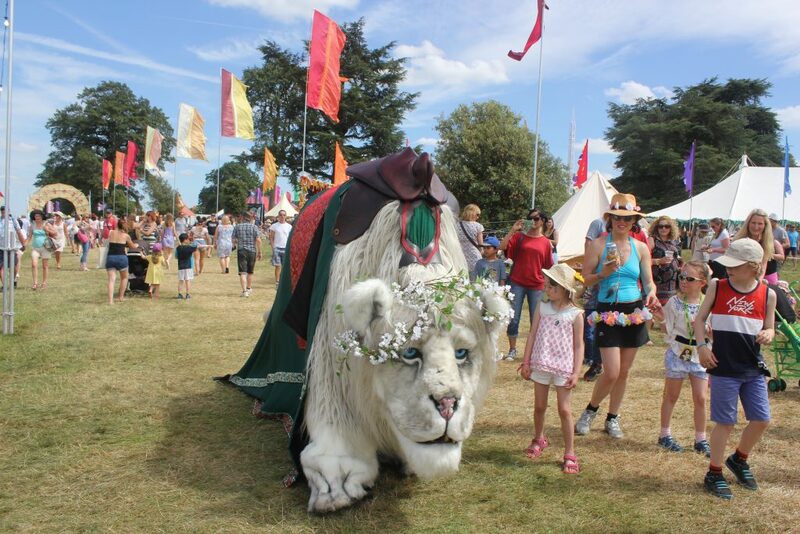 A beautiful giant lion will be prowling the streets accompanied by her faithful assistant who will beckon forth all who wish to meet the spirit of the pride. Look out for the larger than life circus ringmaster and the amazing aerial acrobatics of Circus Vee at Gallery Oldham. Also, keep an eye out for Tiddles the Circus Tiger – the brand new Oldham Theatre Workshop street theatre show. 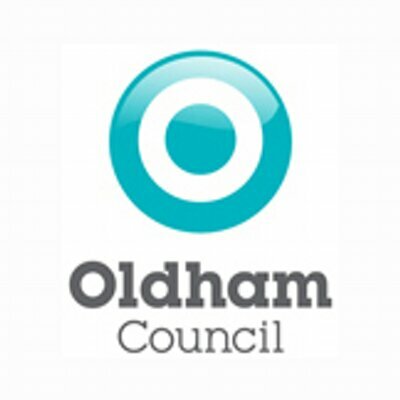 For more information visit www.visitoldham.com or call 0161 770 3070. Local Link, Ring and Ride and school bus passengers are set to see a number of changes to the fares they pay. Local Link (from 1 June): single fare increase from £2.50 to £2.60, weekly ticket increase from £20 to £20.80, concessionary single fare increase from £1.20 to £1.25 and a concessionary weekly ticket increase from £10 to £10.40. Ring and Ride (from 1 June): concessionary fare increase from £1.20 to £1.50. School bus (from September): single fare increase from £1.30 to £1.35, return ticket increase from £2.20 to £2.30 and a weekly ticket increase from £7 to £7.30. 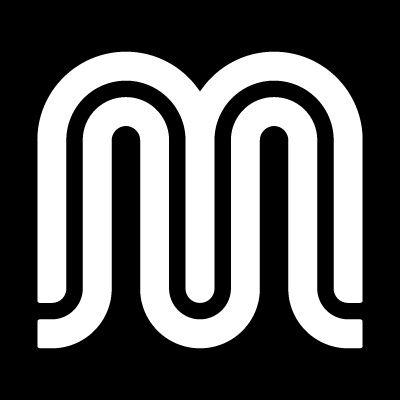 TFGM say Local Link and school bus fares are increasing in line with inflation, while Ring and Ride fares are increasing to help maintain the existing level of service to customers following a funding reduction to Greater Manchester Accessible Transport Ltd (GMATL) – which operates the Ring and Ride service. The Ring and Ride fare increase was discussed during a consultation process with users and charity groups. Stakeholder consultation sessions were held in September 2017 and public surgeries were held in April 2017 and April 2018. According to TFGM, the feedback indicated that users would be willing to pay the revised fare, as they valued the service greatly and felt that it would still offer value for money. TfGM’s Interim Head of Bus Services, Alison Chew, said: “Where commercial operators don’t run we have an important role to play in paying for services where there is a social need, so that access to education, healthcare and jobs is maintained. “We strive to ensure that they provide the best possible service while also representing value for the public purse. For information on public transport across Greater Manchester visit www.tfgm.com, call 0161 244 1000 (7am-8pm, Monday to Friday, and 8am-8pm at weekends and bank holidays) or follow @OfficialTfGMon Twitter. Diggle Primary School has been given a ringing endorsement by Ofsted. The school has been judged as ‘good’ in all areas following a two-day inspection which took place in March this year. Ofsted highlighted many strengths across teaching and learning; outcomes for pupils; leadership and management; early years provision; and personal development, behaviour and welfare. Inspectors highlighted the school’s “inclusive and friendly atmosphere”, adding that pupils work hard and feel proud of their school. Pupils achieve well in writing, many older children develop a “love of reading” and leaders are “ambitious for the school”. Music was viewed as a particular strength, with an “impressive array” of opportunities for pupils, but children “make strong progress in many subjects”. 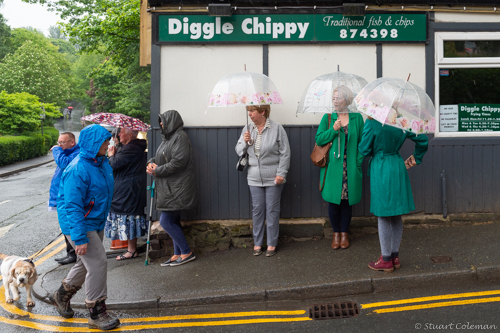 Diggle School, on Sam Road, has around 180 pupils aged four to 11, including children who travel from West Yorkshire every day. It shares a site with Diggle Dandelions pre-school, which has been rated as ‘outstanding’ by Ofsted. 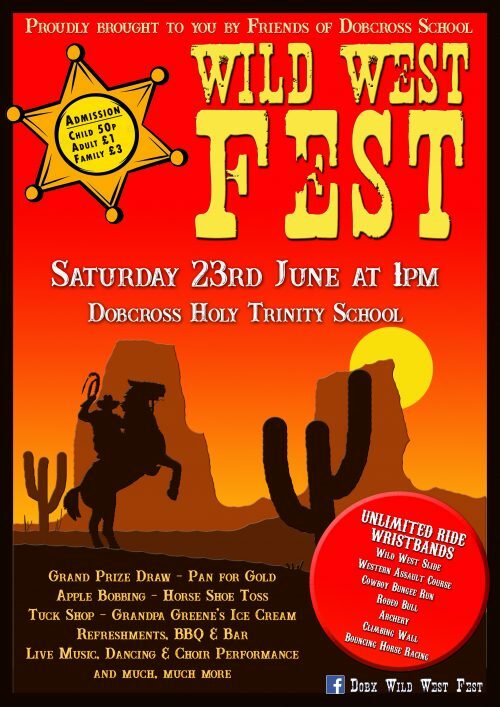 Dobcross fete is riding into town again on 23 June with a ‘Yee haw!’ The popular annual fair which is organised by Friends of Dobcross School (FODS) will be a fully themed Wild West Fest complete with Rodeo Bull, Gold Panning and Horse Shoe Toss. 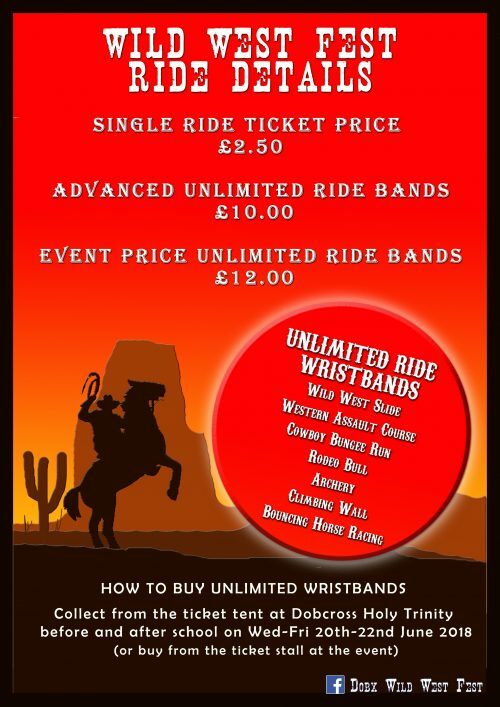 From 1 – 5pm, at Holy Trinity School, aspiring cowboys and indian’s can pit their wits against the Cowboy Bungee Run and Western Assault Course, race on Bouncing Broncos and slip down the Wild West Slide. They can try their hand at archery, climb Spirit Mountain and then take a well-earned break at the Watering Hole for drinks, BBQ food and ice-cream. 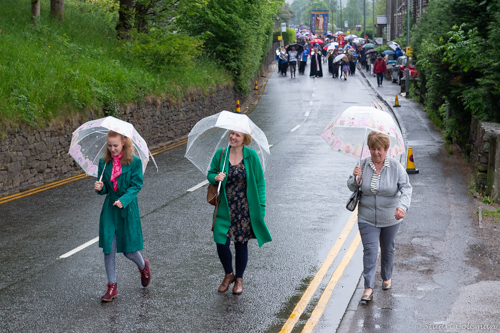 Those who are feeling less energetic can kick back and enjoy ‘hoe-down’ with Oldham Music School, Infinity Dance and Holy Trinity Choir entertaining the crowds from the live entertainment stage. There will also be a wide range of traditional side stalls including Pin the Badge on the Sherriff, Apple Bobbing and Bottle Tombola. Not forgetting the school’s Grand Draw generously supported by local businesses, with over 30 fantastic prizes including a helicopter flight and hire of a Ford V8 Mustang. 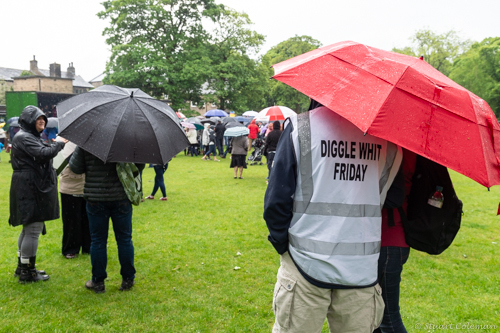 Chair of FODS Claire Hilton said “It is set to be a fantastic day, with fun for all the family. The event will raise money for the school to spend on much needed improvements to their practical area and library. Populations of goshawk and peregrine falcon are considerably lower in areas of the Peak District managed for driven grouse shooting in comparison to the rest of the National Park according to a new study. The paper published in the journal British Birds found a significant association between confirmed raptor persecution incidents and moorland burning – a practice associated with the management of driven grouse moors. 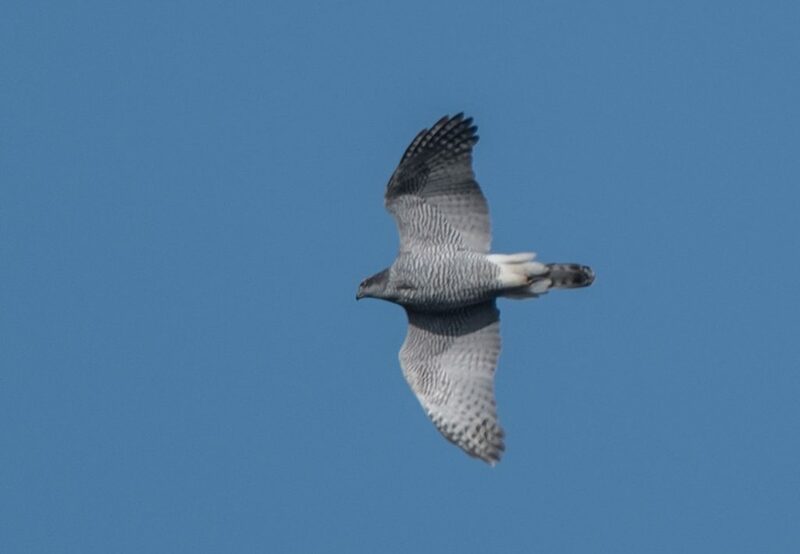 It revealed that populations of goshawk and peregrine falcons were in catastrophic decline in northern Dark Peak and yet increasing in the nearby southern White Peak, where virtually no driven grouse moors are present. This is the first time the association has been shown between declining goshawk populations and moorland burning, confirming fears that driven grouse shooting and its associated raptor persecution is leading to the demise of this species in the park. The RSPB’s Tim Melling, one of the authors of the paper, said: “In the Dark Peak, birds of prey are notable by their absence. This should be a stronghold for goshawks and peregrines, but sadly our data shows this area to be a bird crime hotspot leading to almost local extinctions of these species. The Peak District National Park was once renowned as THE place to see goshawks with up to 17 pairs in the Dark Peak as recently as 1995 but by 2015 this number had plummeted to just two, neither of which successfully bred. Goshawk was found to be twice as likely to successfully breed in the White Peak as the Dark Peak, and peregrines three times more likely. The illegal persecution of birds of prey is a persistent problem throughout the UK. The RSPB is calling for the government to introduce a system of licensing for driven grouse shooting, and regionally the inclusion of practical measures in the Peak District National Park Management Plan to address this issue. Dive into a world of drama, family shows, comedy, music and new writing at Oldham’s live@thelibrary summer season. Oldham Libraries have a packed schedule with something for everyone at libraries across the borough from May to August. 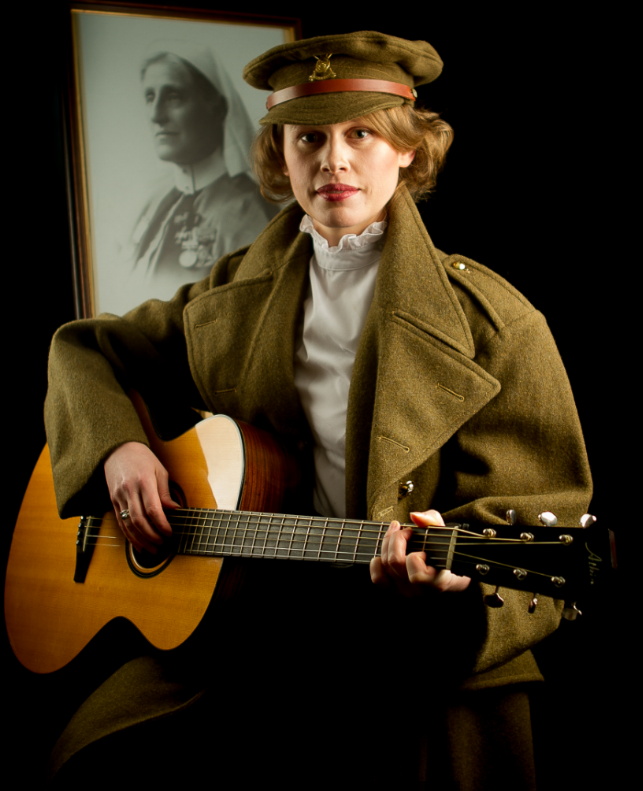 There’s a whole host of events to mark the Suffrage Centenary, including the Revolting Women performance of the Suffrage story through the eyes of a less well-known Pankhurst, Sylvia, who fought for the vote alongside working women in the East End. 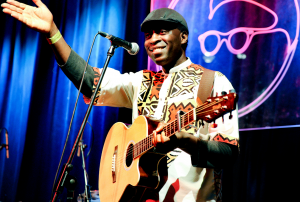 To mark Refugee Week (18-24 June, 2018), join the Manchester International Roots Orchestra for an evening of exciting new music. The unique, musically diverse orchestra aims to nurture musical collaboration between refugee and other culturally diverse musicians, and Royal Northern College of Music (RNCM) students. Children can help save the day in a fun interactive performance of Old McDonald and the Three Pigs Plus in just one of many family events throughout the summer. There’s also a welcome return of Open Space Festival, showcasing the work of writers and performers from Oldham and across Greater Manchester. Live@thelibrarylocal brings the fun straight to your community and there’s something for adults and children alike. You can go on an adventure in Charlie and the Lost Treasure or enjoy “I Don’t Know”, a thought-provoking one woman show for Dementia Awareness week. The Small Cinema also returns to Oldham Library with a dementia-friendly screening of the classic romantic drama ‘Casablanca’ as well as other favourites. 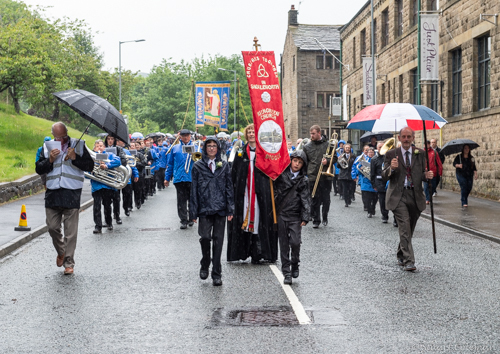 Sheena Macfarlane, Head of Heritage, Libraries and Arts at Oldham Council, said: “Our modern libraries are so much more than book-lending services. Our staff strive to provide a wide range of services, facilities and information for residents of all ages and in many different ways. Live@thelibrary is the perfect celebration of just how much our libraries have to offer. Amani Live: Amani Creatives will be showcasing some of the freshest new talent from the African diaspora and highlighting diversity, complexity and enduring cultural influence in Africa. Booking is essential for all events including those without a charge. Children under 12 months are free and accompanying adults must book a ticket to attend children’s performances. Oldham Library is located on Greaves Street, Oldham, OL1 1AL (attached to Gallery Oldham). 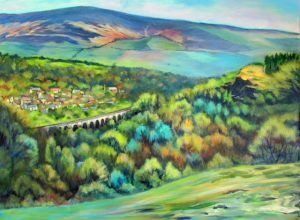 The Environment Agency (EA) reject, for a second time, the revised environmental plans for Saddleworth School re-development in Diggle. 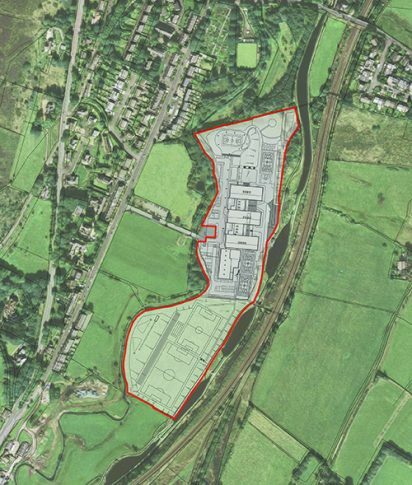 The 4 year controversial Saddleworth School Saga in Diggle Oldham continues as the EA reject the revised Flood Risk Assessment (FRA) presented to the EA by InterServe Construction Ltd/WYG on behalf of the Secretary of State for Education. The EA have rejected the revised 40 page FRA (Flood Risk Assessment) submission, stating in their letter to OMBC Planning dated 3rd April 2018 that it “does not comply with requirements set out in the National Planning Policy Framework and associated guidance”, “The excavation of the existing floodplain is not an adequate compensatory flood storage” and “we maintain our objection to the above application”. Cllr Keith Lucas, spokesperson for Save Diggle Action Group said, “Since our Judicial Review campaign victory (funded by local residents) where High Court Judge Mr Justice Kerr called OMBC council’s previous approval of the planning application “unlawful”, and also criticised the site selection process carried out by both the Education Skills and Funding Agency (ESFA) and OMBC, and determined that the new school could be built in Uppermill with the ESFA’s funding and that all the sites should be reconsidered properly against planning legislation and regulations, OMBC have completely ignored the High Court findings and created a wall of silence for anyone who have had genuine concerns about the infrastructural and environmental concerning about the re-location of Saddleworth School to Diggle from its present Uppermill site. 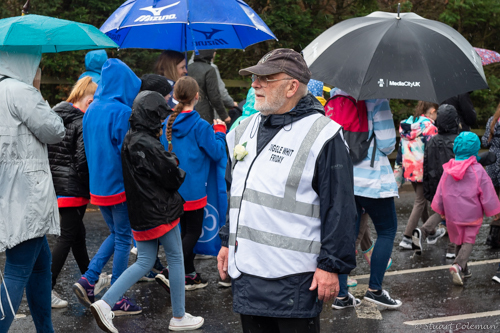 “What we are now seeing is that a statutory body like the EA questioning for the second time, OMBC and the ESFA’s site selection judgment in moving a 1500 pupil school and its associated playing fields onto a flood zone site. “With two statutory consultees now objecting to the proposals to move the school to Diggle and InterServe Construction Ltd/WYG’s FRA not meeting the required National Planning Policy Framework standards, even on its second attempt, SDAG have to ask: What will it take for OMBC and the ESFA to really listen to Mr Justice Kerr’s judgment and the objections of two statutory consultees? 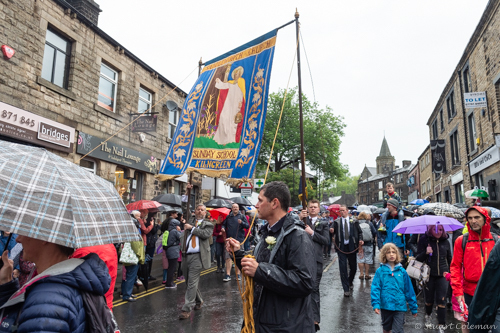 “We are all fully behind Saddleworth parents and pupils in getting a new school. 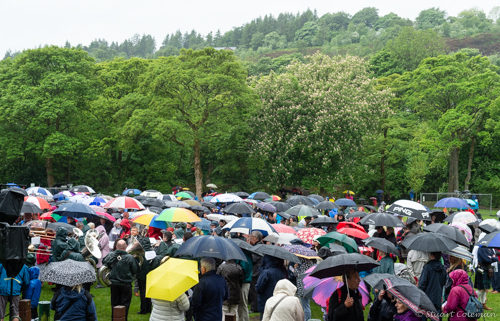 If OMBC had listened to local public wishes for a new school to be built on the present Uppermill site in the beginning, a new secondary school would have been up and running by 2015. OMBC were not available for comment at this time. 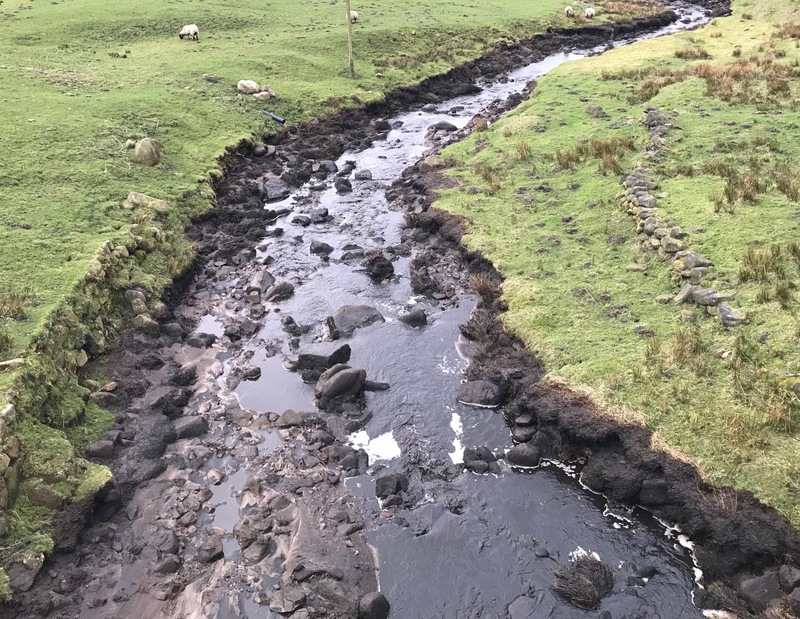 On Tuesday 17th April large amounts of peat flooded into Diggle Brook. 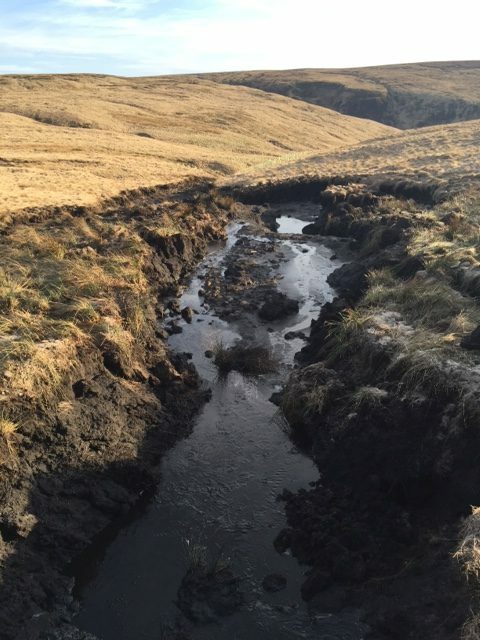 The peat appears to have been released through a breach in the dam at Little Black Moss Reservoir situated at the head of the valley above Diggle Firing Range (Grid Ref: SE 0315 0861).